Looking at my eBay completed auctions, an eBay pro would notice a mistake. I could shoot myself for what I just did. Stupid! Stupid! Stupid! Before listing an auction, you always need to make a careful forecast of the future. This is especially applicable if you are selling big ticket (> $100) items. It is important to see if there will be any event that will keep people away from their computers. This includes holidays, important days, and TV specials. I’ve made this mistake twice already! I listed a karaoke machine online last year. On the last day of the auction, I was puzzled why there were very few bids. It wasn’t until after the auction that I realized my folly. My auction ended on July 4th! Stupid! Everyone was outside watching firecrackers or spending time with family. I’m so ashamed that I won’t post the ending auction price. This very weekend, I learned to look in the TV guide before scheduling auctions. 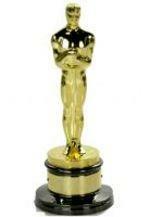 How was I to know that the Academy Awards would be broadcasted during the end of my auctions. I would not like to thank the academy! I think I’m going to try something new. Normally, I’ve ended my big-ticket auctions on Sunday. But, it seems that Sunday is when everything big happens. You never hear of anything on a mundane Monday evening. Plus, I’ve noticed that I am more credit card happy on Monday than on Sunday. Maybe its the first-day-of-the-week-back-at-work-or-school phenomenon. Lastly, I read an article that Monday, in addition to Sunday, is a great evening to end auctions. Enough of my ranting, I’m going to bed. This entry was posted on Sunday, March 5th, 2006 at 11:03 pm	and is filed under Buying and Selling, Rants and Raves, eBay. You can follow any responses to this entry through the RSS 2.0 feed. You can leave a response, or trackback from your own site. I'm Now an eBay Power Seller!